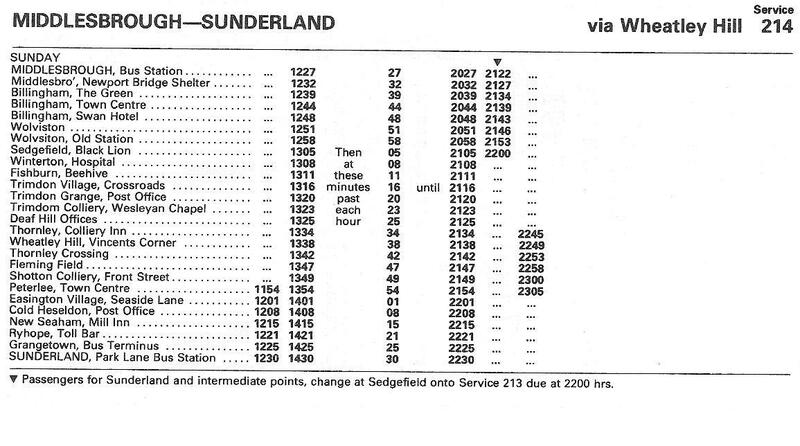 In all of the Tyne and Wear PTE I’ve seen up until 1985, the 234 was also known simpy as ‘Trimdon’. 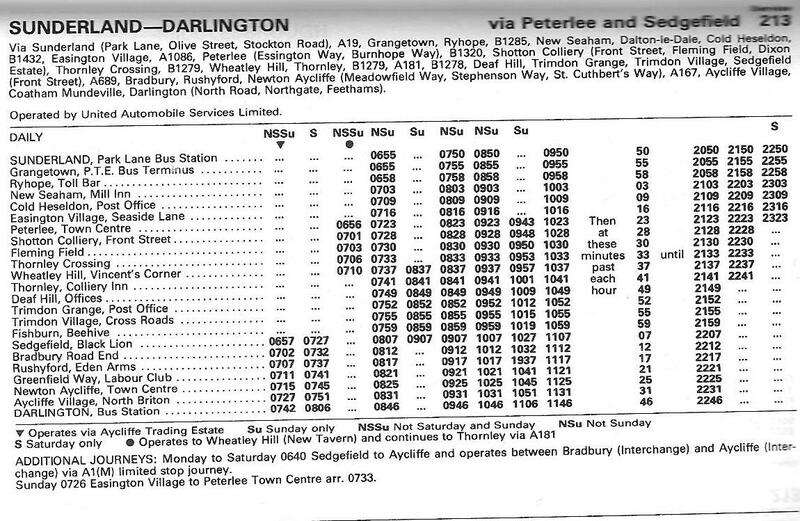 Operated by Trimdon Motor Services, this bus operated between Houghton-le-Spring and Stockton via Salters Lane (which included the villages of Haswell and Wingate), through the Trimdoms and Fishburn to Sedgefield and down the A177 to Stockton. 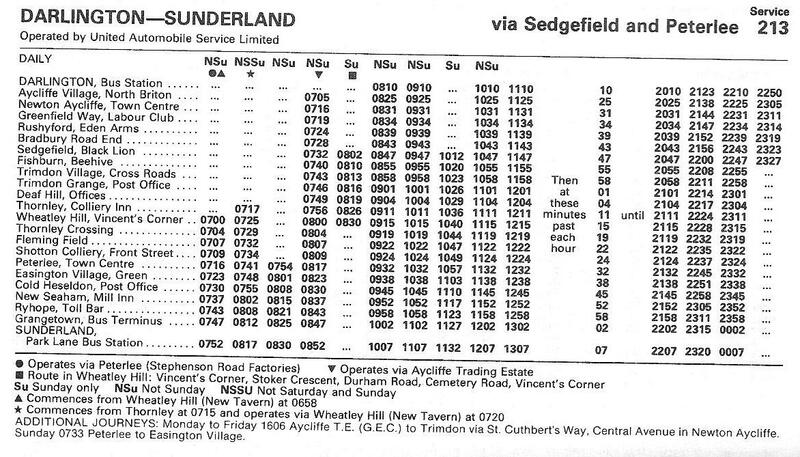 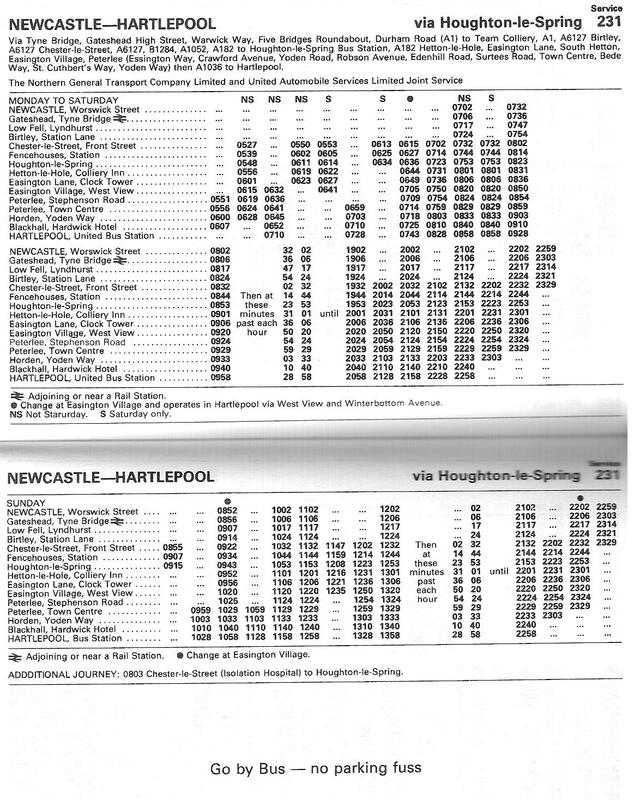 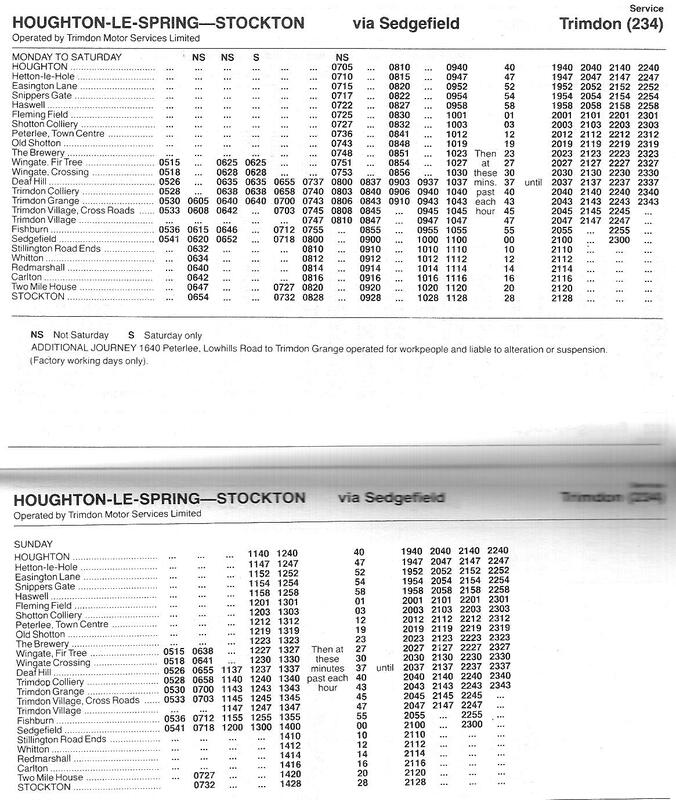 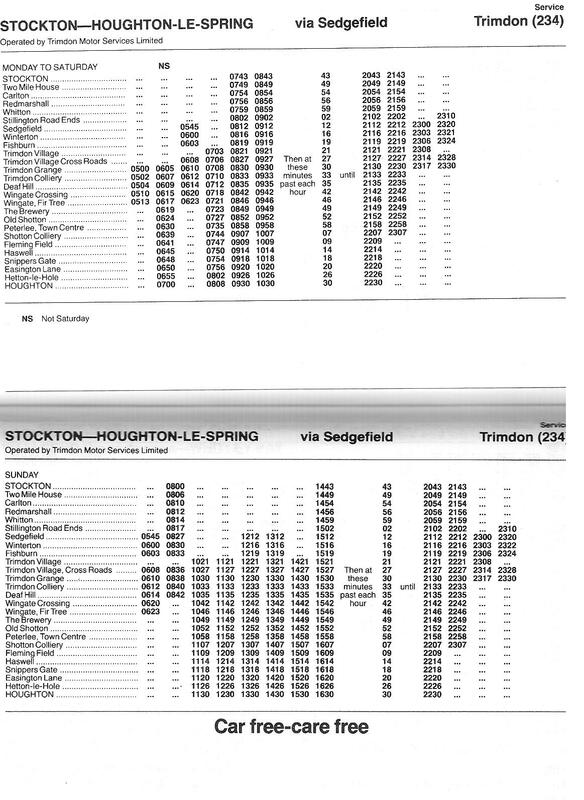 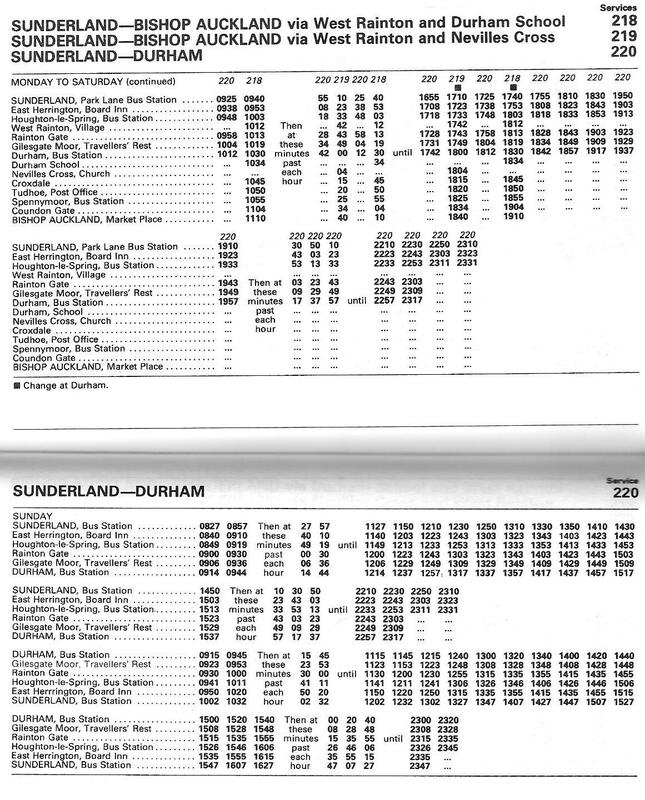 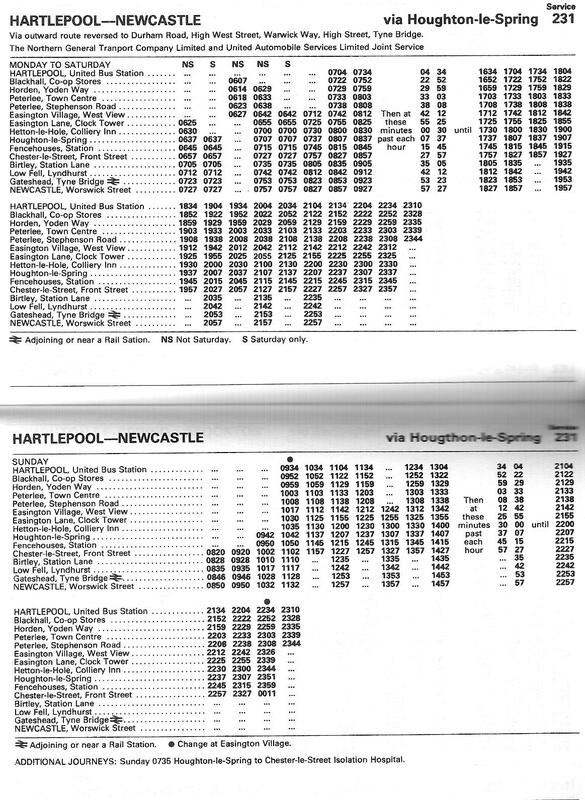 In later years, this service was extended from Houghton into Sunderland and operated by United after TMS sold their business to them. 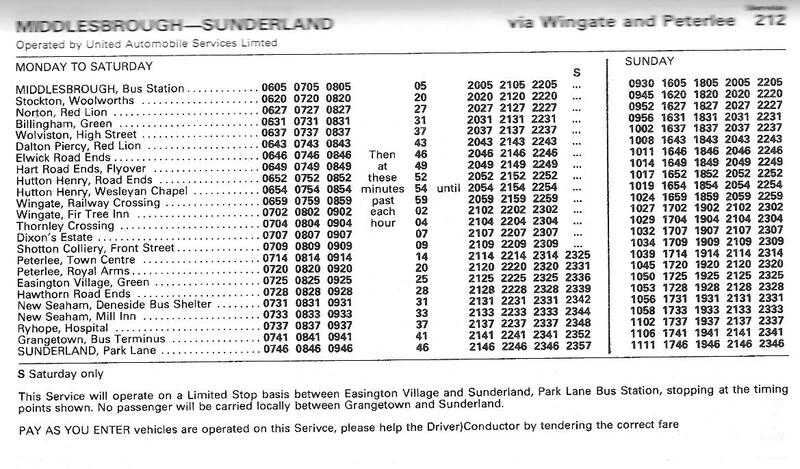 Here is another service that still exists albeit with a different service number. 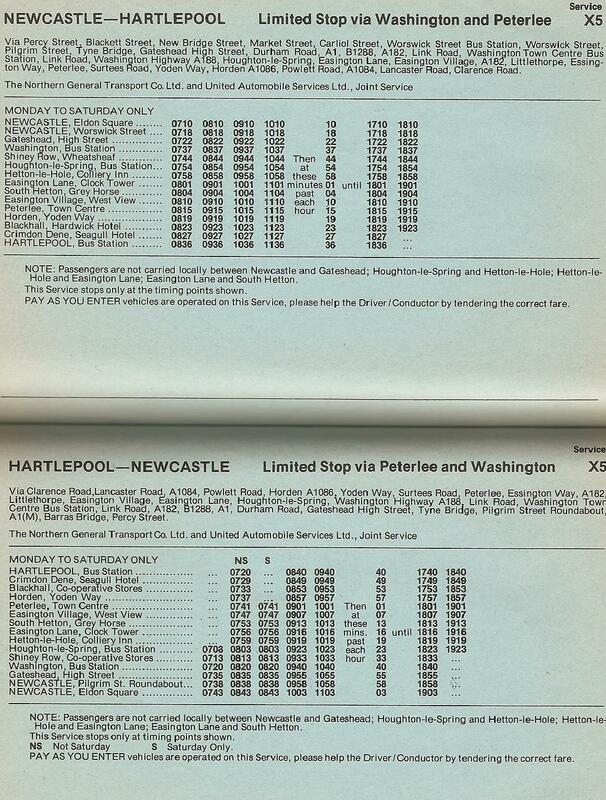 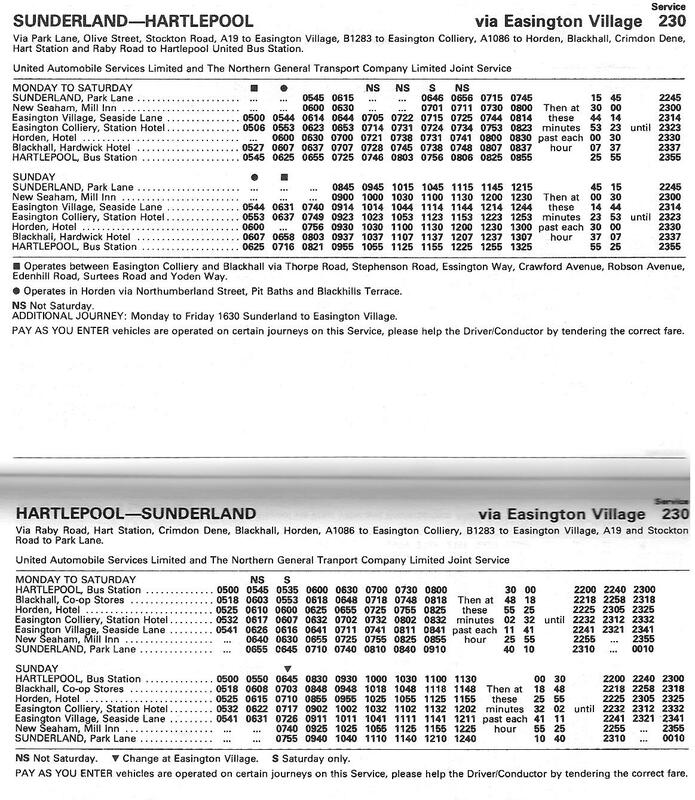 The 230 between Sunderland and Hartlepool has now been replaced by services 23/23A/23B/23C. 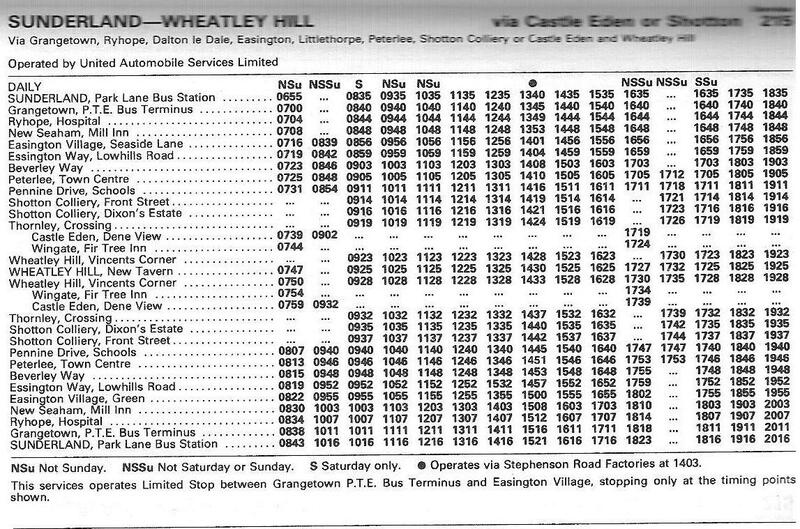 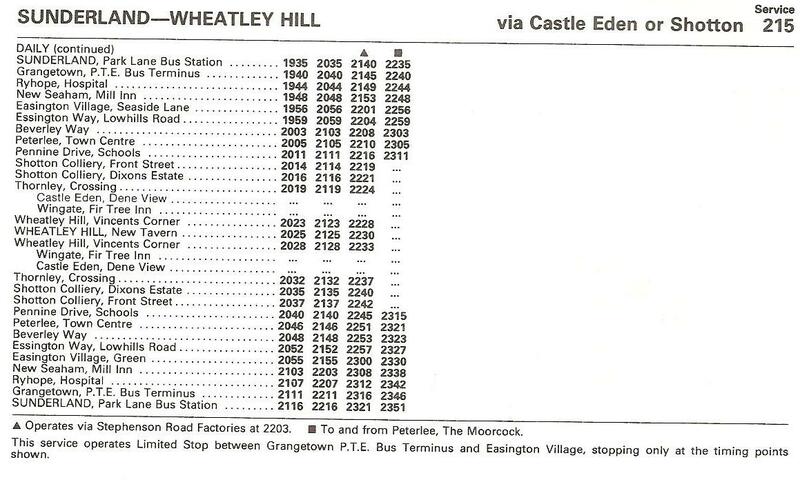 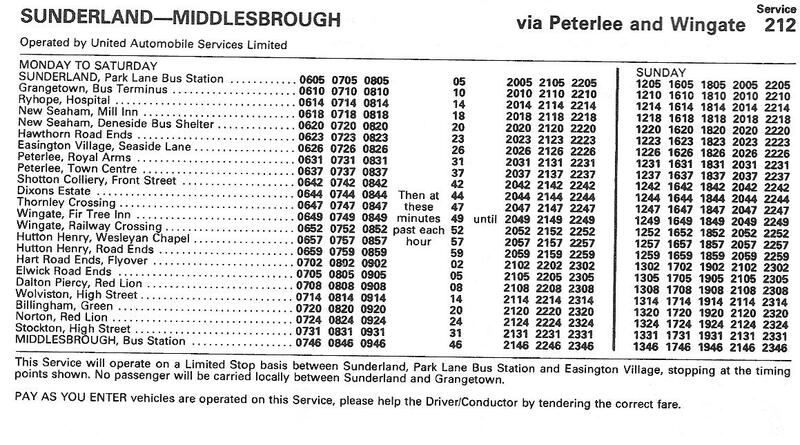 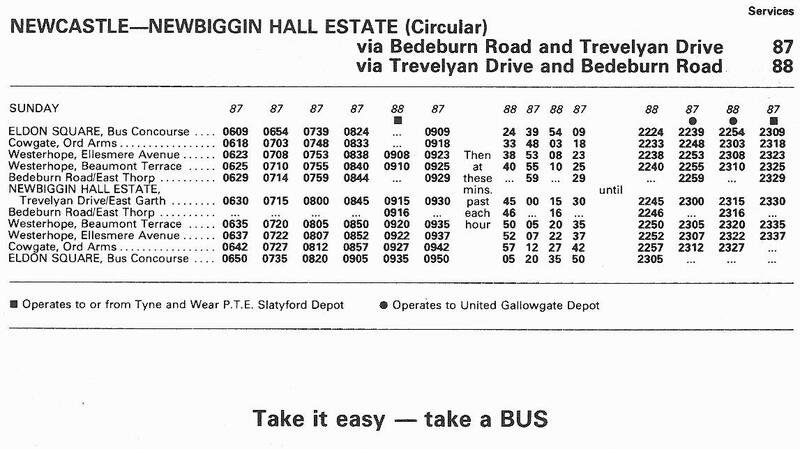 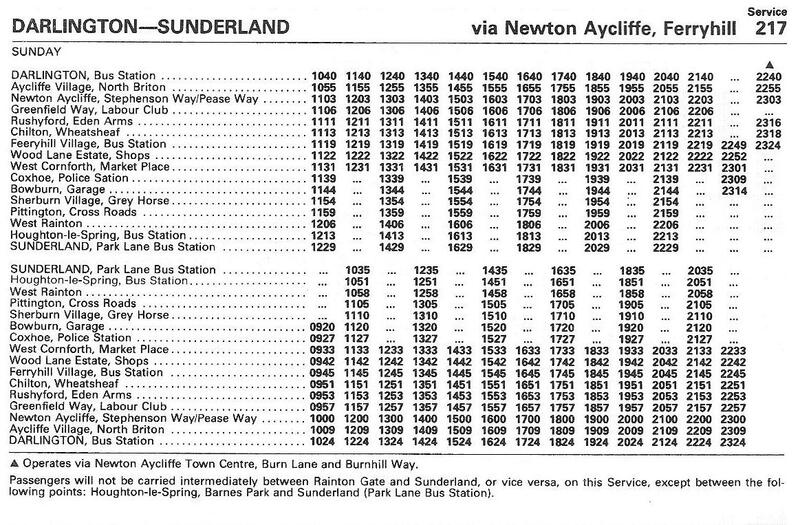 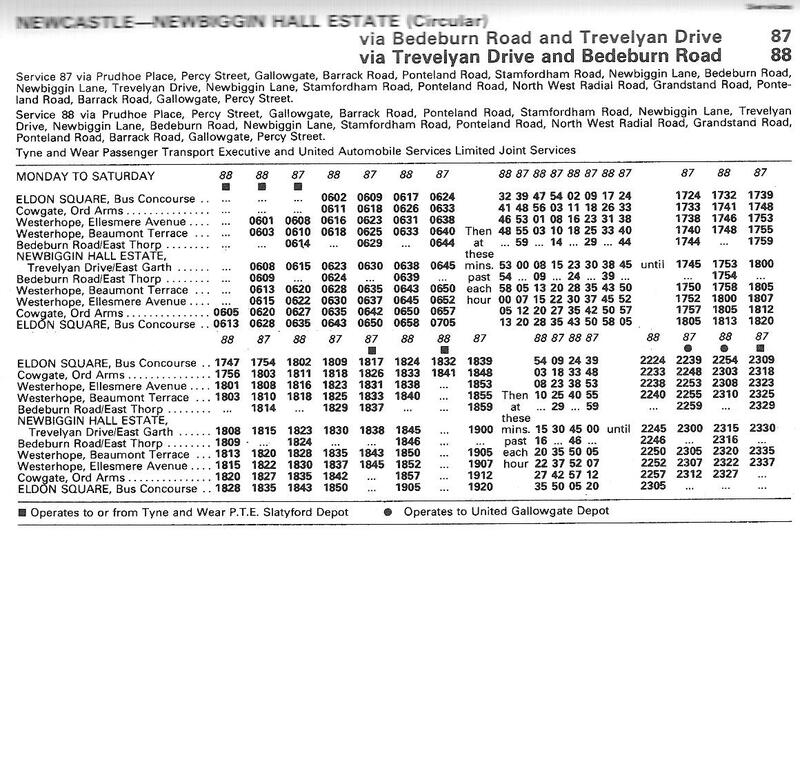 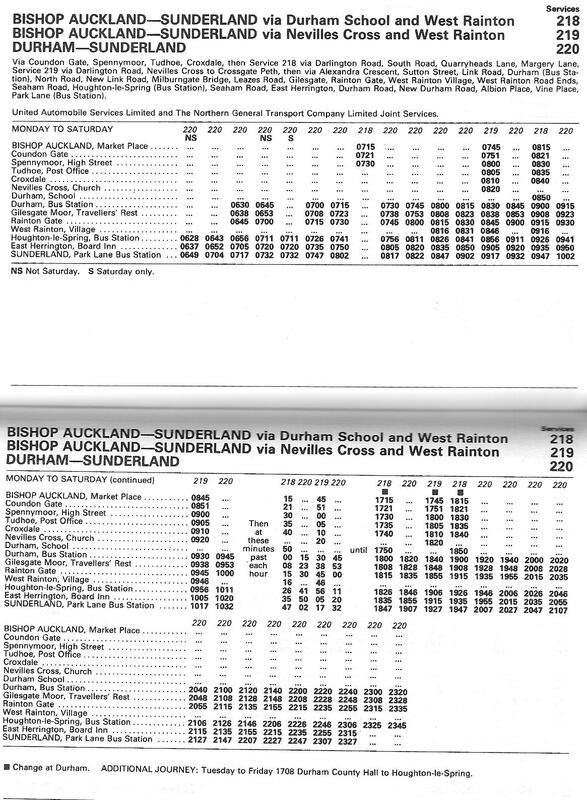 Some of these routes still traverse the entire route whilst others terminate at Peterlee. 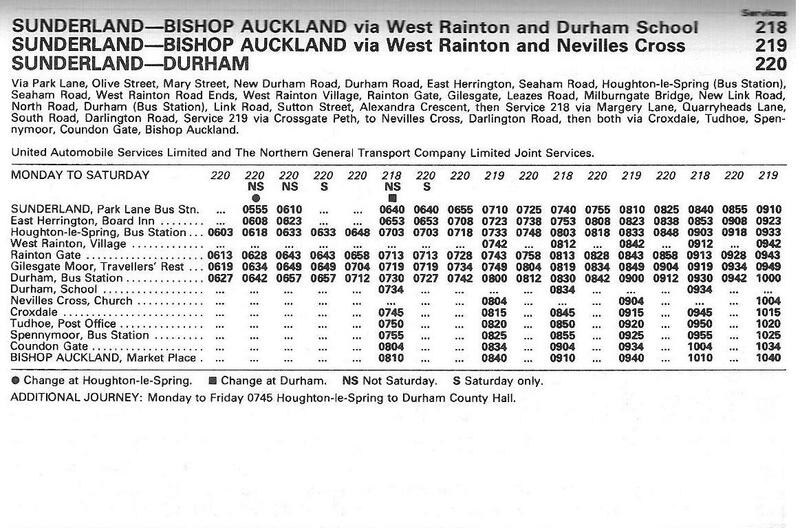 The service is still ran jointly by Go North East and Arriva North East (or Northern and United as they were then known) which is something of an oddity these days. 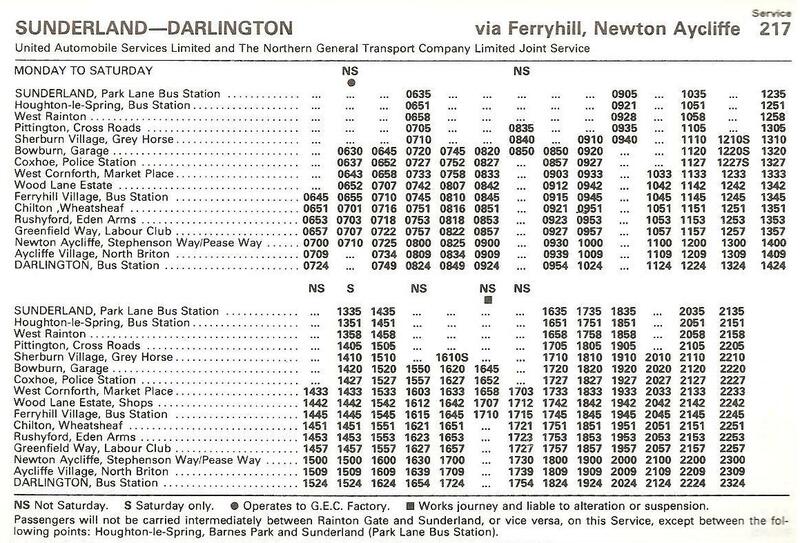 I’m not sure how this arrangement was handled in 1979 but in 2011 it is hugely simplified with Arriva running the day service, and GNE operating on Evening and Sundays. 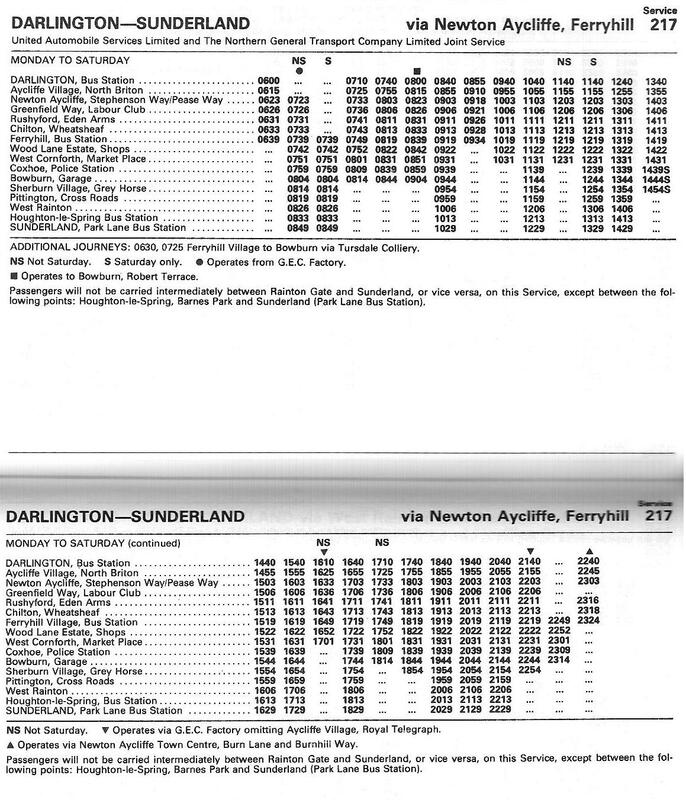 Unlike the other Sunderland to Darlington service, this one was operated jointly by Northern and United and operated through Houghton-le-Spring, West Rainton and skirts around Durham City Centre by serving the villages to the east (Pittington, Sherburn) before going to Coxhoe, Ferryhill and Newton Aycliffe. 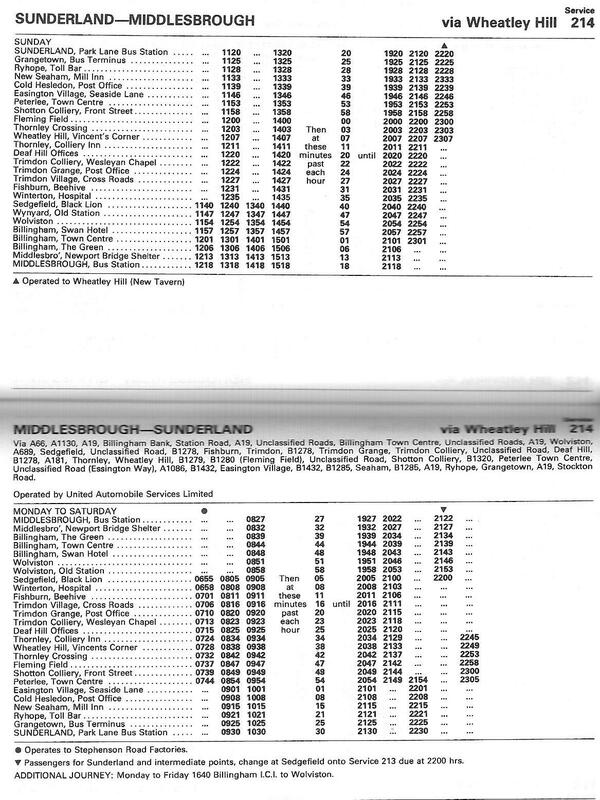 Yet another bus operating between Sunderland and Middlesbrough. 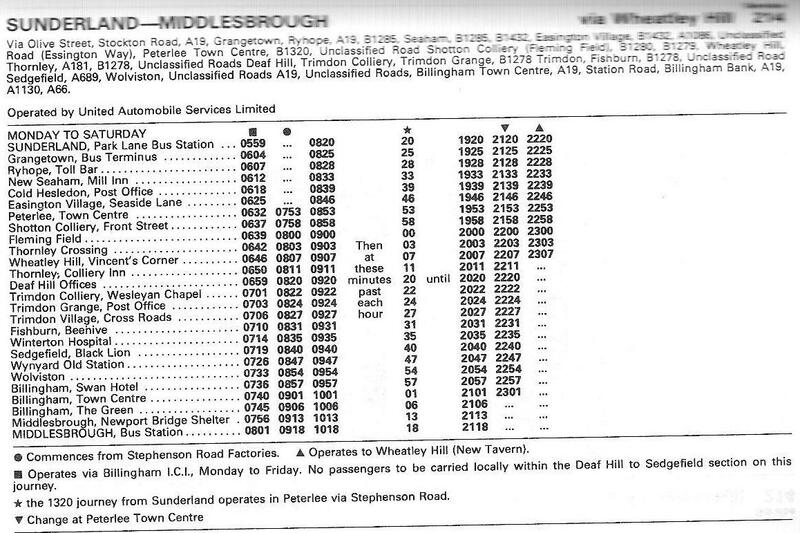 This one operates via Peterlee, Wheatley Hill, The Trimdons and Sedgefield before going down the A177 into Stockton and into Middlesbrough.